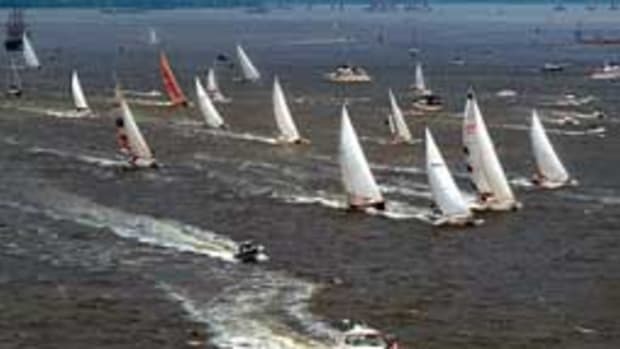 Charleston Race Week organizers can count any number of degrees of success: 191 boats registered, good winds and weather, great camaraderie and wonderful post-race parties. Beneath these factors is the real story - the dedication of the sailors themselves. Two young female racers with very different experiences epitomized this aspect. 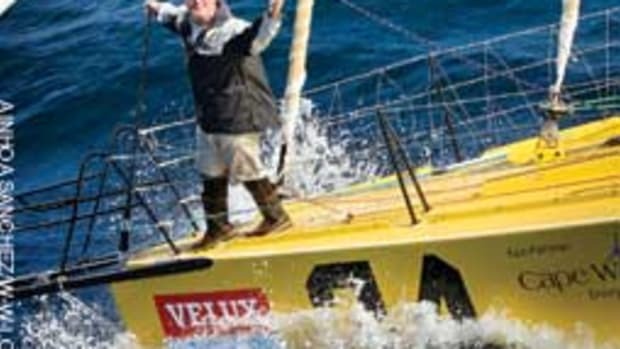 Riley Chadwick, a 12-year-old sixth-grader from Annapolis, was the youngest racer in the fleet. Her enthusiasm for sailing in "my very first international regatta" seemed boundless as she bounced up and down over the excitement of seeing, as she said, "boats from Canada and Germany." 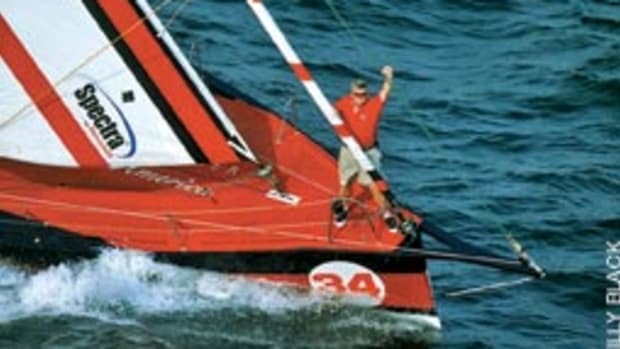 She sailed on the Melges 24, Cujo, owned by Greg McCliment from Novi, Mich., along with her dad, Navy Lt. Commander Chris Chadwick. Young Riley was an enthusiastic part of Cujo&apos;s hiking team, which finished 21st out of 31 boats. "I loved hiking out, unlike everyone else ... except when I got left out there tacking!" She says she&apos;s been sailing since she can remember. "My parents took me sailing as a baby," says Riley. "Sailing is my favorite pastime, other than video games." The family races on the J/80 Church Key with the East Port Yacht Club and Riley takes sailing lessons every Saturday at the Severn Sailing Association. Katie Burns, on the other hand, is a 25-year old Army veteran. 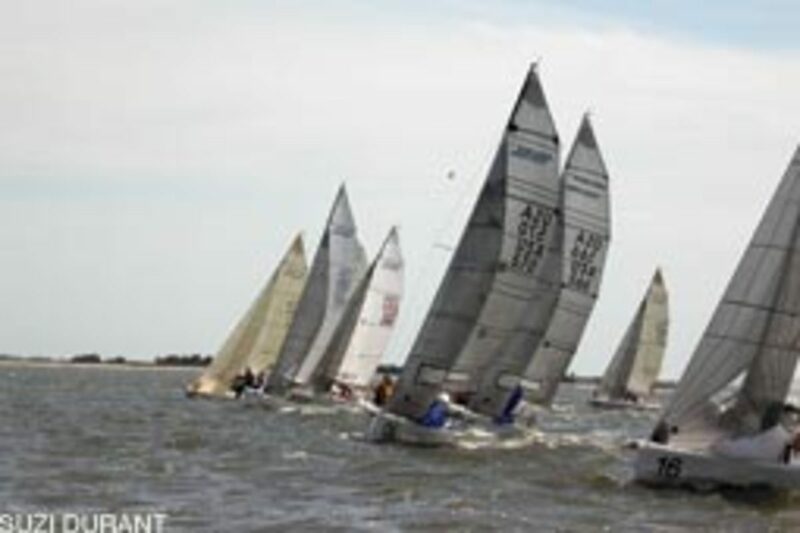 Now attending Old Dominion University in Norfolk, Va., she quipped that next year she would be the oldest collegiate sailor in the United States. Sailing on a Viper 640, Blade Runner, owned by Phil Davis and Sheldon Schroeder from Corpus Christi, Texas, Burns ended the race week disappointed (26th out of 30 boats), but philosophical about her boat&apos;s performance. "It was the worst day I ever had on the water," Burns said after the first day. "Sometimes you have to lose to learn." On the second day, the wind and waves picked up in the afternoon and "marks were changed several times," she says. 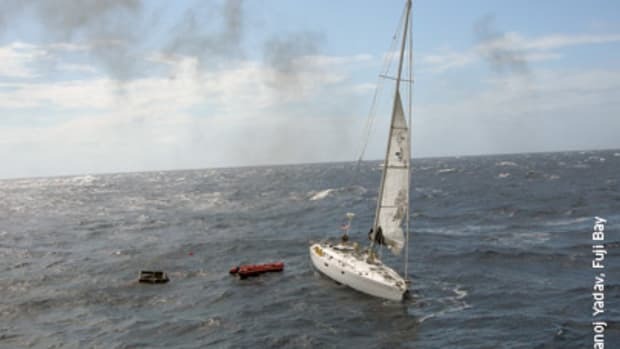 Those conditions - coupled with inexperienced mates sailing in their first regatta - made it difficult to enjoy her passion - especially when she fell off the boat ... which kept on sailing. 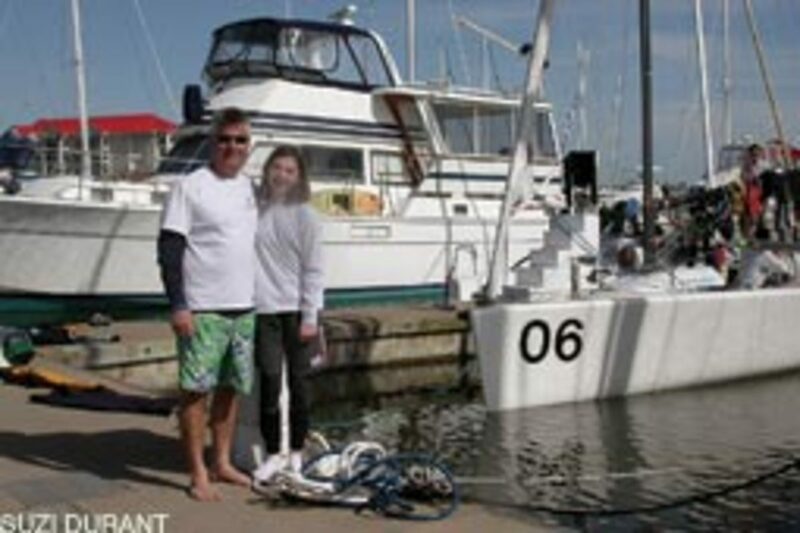 Burns got her start when her father&apos;s godparents enrolled her in junior sailing at the Hampton Yacht Club in Virginia where she "fell in love" with sailing. Since then, she&apos;s raced in Portugal and all over the East Coast. "I think I surprised them that I would go so far in what they considered a summer activity," she says. 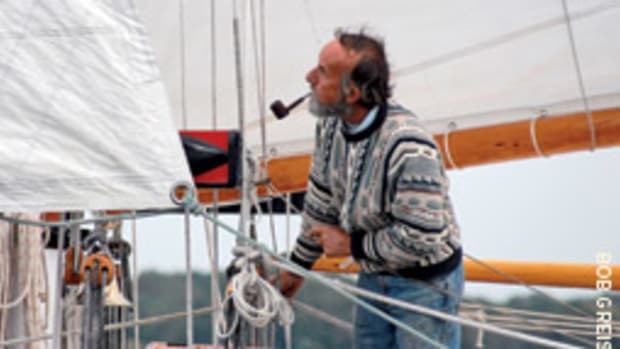 Burns usually sails with one of her mentors, Pete Hunter from North Carolina, on his Thompson 30, Wairere. "It&apos;s really fun and fast, but he&apos;s taught me to always think, &apos;What could I do better?&apos; " she says. Being the sail trimmer on Blade Runner was difficult, she adds, "The owners were new to racing and couldn&apos;t get the rig right. Every time we tried to put up the kite, we wiped out." For a preteen, Riley has her future mapped out. Her sights are set on trying to get into the Naval Academy and becoming a sailor. "When I&apos;m older, I want a TransPac 52 or a J/122. 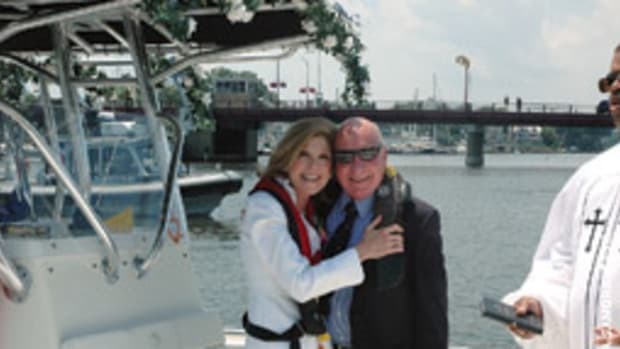 Or I&apos;ll get the newest model in the J fleet, as long as it&apos;s big, because I want to live aboard," she says. Burns is less certain about what she wants to do. The willowy blonde was stationed in Iraq as a mechanic for Black Hawk helicopters. Her six years of duty define her. "I have a much more competitive edge and want to be the best in whatever I do," says Burns, who says she lost direction when she came back from the war, but that changed once she started racing. "I got my identity back. ... I became a new person with a drive," she says. Burns enrolled in college, majoring in geology. "I&apos;ve always loved maps," she says. "In the Army, you could drop me in the woods and I&apos;d go full steam ahead for three hours." Not surprisingly, she says she hopes to become a nautical navigator. On the other hand, leaving the Army was a hard decision. If she stayed in, "I was going to go to flight school, become a helicopter pilot and broaden what I could do." She shrugs nonchalantly. "I can always go back." She says she does find it difficult to manage two different lifestyles - college and racing - at the same time. Burns takes half her classes at the college and half online but, ultimately, wants to be a good sailor. Her Army experience enabled her to continue with her commitment even after her "worst day," and she&apos;s already looking forward to another race.